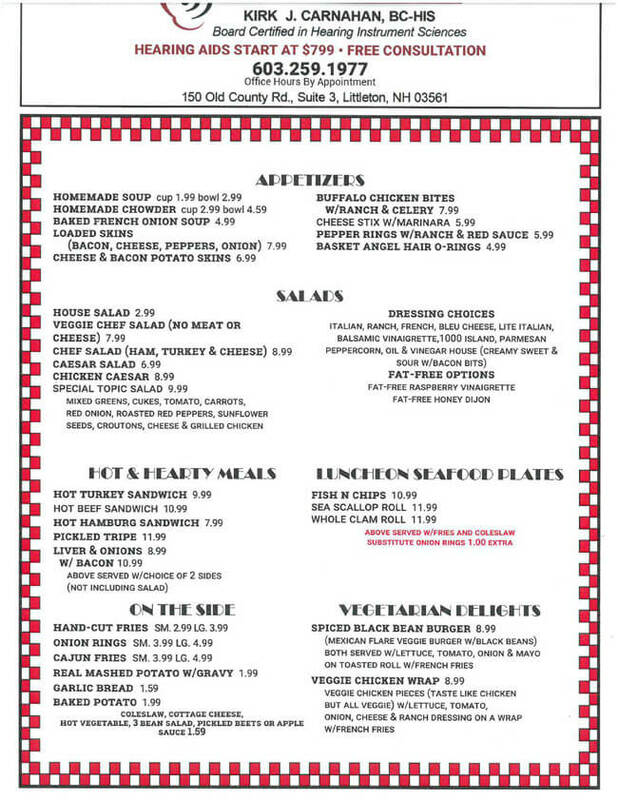 A Full Choice of Delicious Menu Items in Littleton, NH! 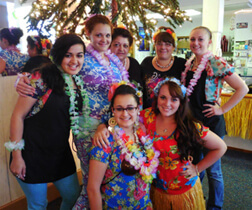 Topic of the Town serves the people of Littleton, New Hampshire breakfast, lunch, and dinner. 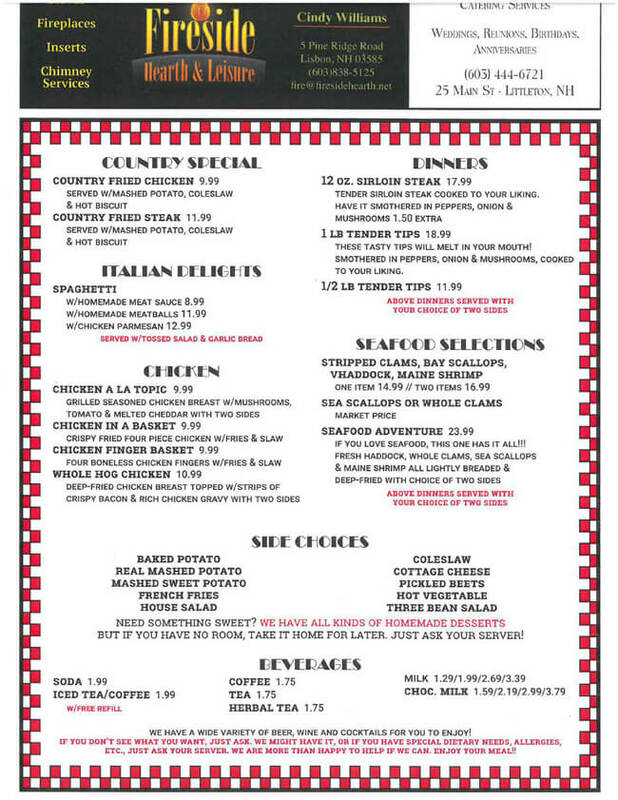 We have daily specials and kids menus for each meal. 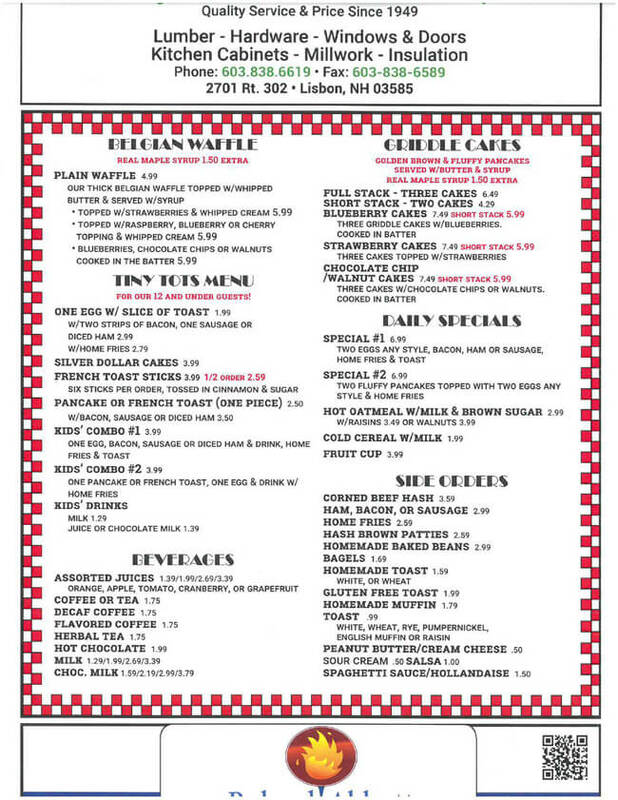 Order eggs, omelets, French toast, griddle cakes, Belgian waffles, and a choice of many sides from hash browns, to bacon, bagels and muffins. At lunch time, enjoy appetizers including soups, chicken bites, and potato skins. Try one of our salads, luncheon seafood plates, or hot & hearty meals. 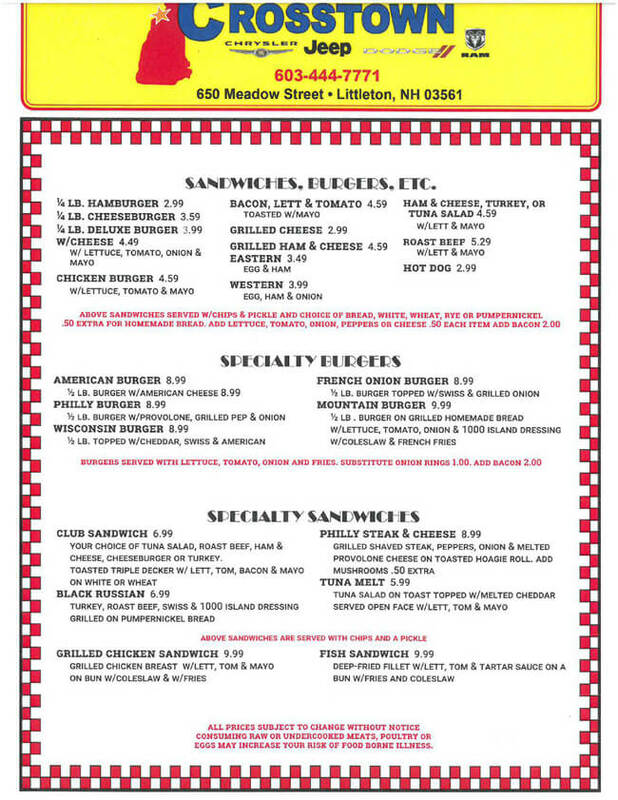 At lunch or dinner, try our burgers, specialty burgers, specialty sandwiches, dinner plates, Italian meals, seafood choices, and many delicious sides. We also have homemade desserts which you can eat with your meal or take home for later. 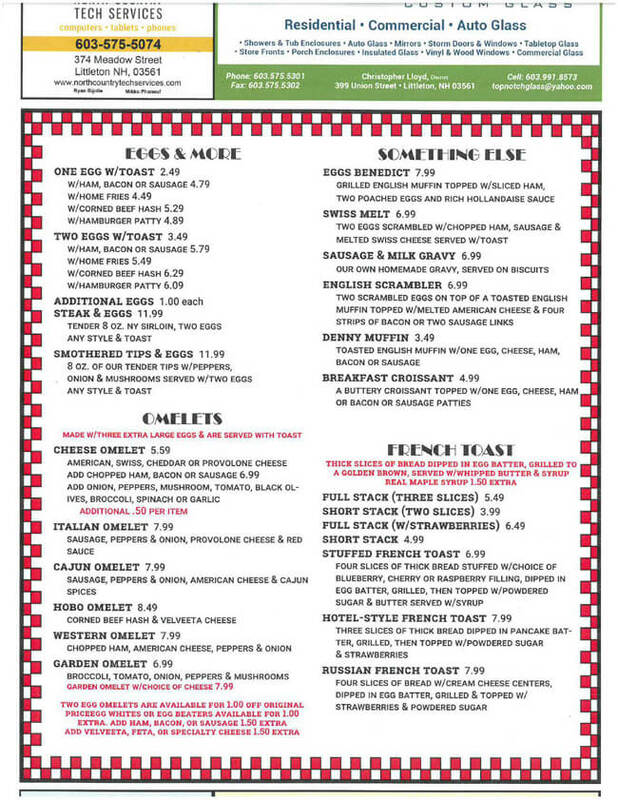 Check out our full menu of yummy choices below.